As games grow, expansions are made that have new rules inside of them. After a while, though, it can become rather unwieldy to try and carry around all those different supplements. And then you find yourself having to flip between different books to find the rule for a specific unit. "Was it this book? *flipflipflip* ... No, maybe this one. *flipflipflip* ARGH!" 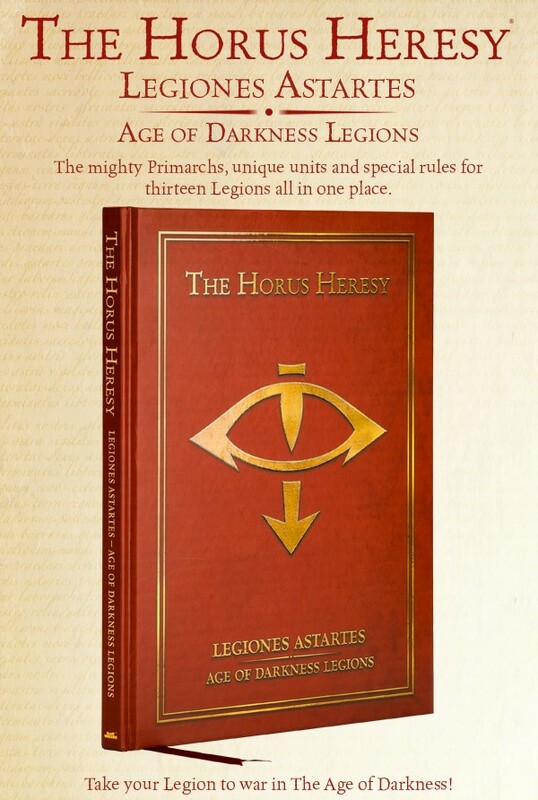 Well, Forge World is here to help with your Horus Heresy armies with their The Horus Heresy Legiones Astartes: Age of Darkness Legions book, available to pre-order now. This book brings together all the Space Marine Legions appendix entries from the first five Horus Heresy books from Forge World. That's a lot of compact rules all in one place. 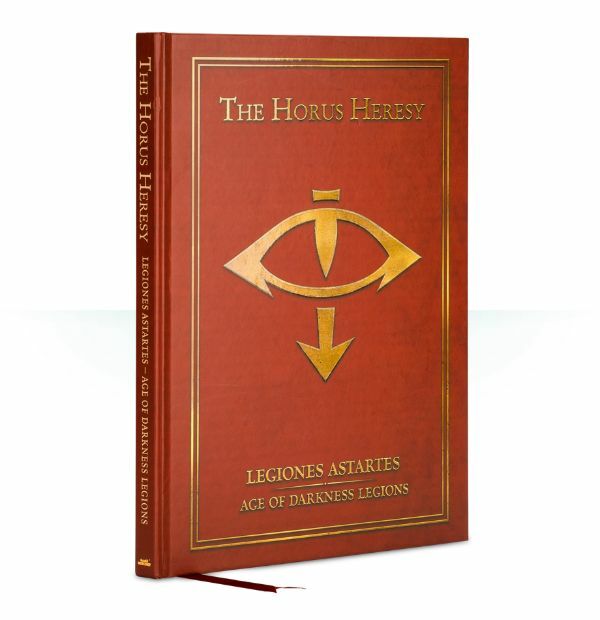 This book is the companion piece to the Horus Heresy Legion Astartes: Crusade Army List book. So instead of carrying around 5 books, you've got 2. And a lot more rules-dense, so hopefully a lot less page-flipping to find what you need. However, it's not just a collection of old rules. They also have a new Iron Warriors Legion unit. It's the ‘Iron Circle’ Domitar-Ferrum Class Battle-automata Maniple. Yeah... makes you wonder how the Space Marines ever get anything done with how long the names for their stuff are.